AMANZI girls dive head first into all of life’s challenges. It doesn’t matter if it’s trying to better your time or make the grade, a good attitude and a little bit of style is a must. 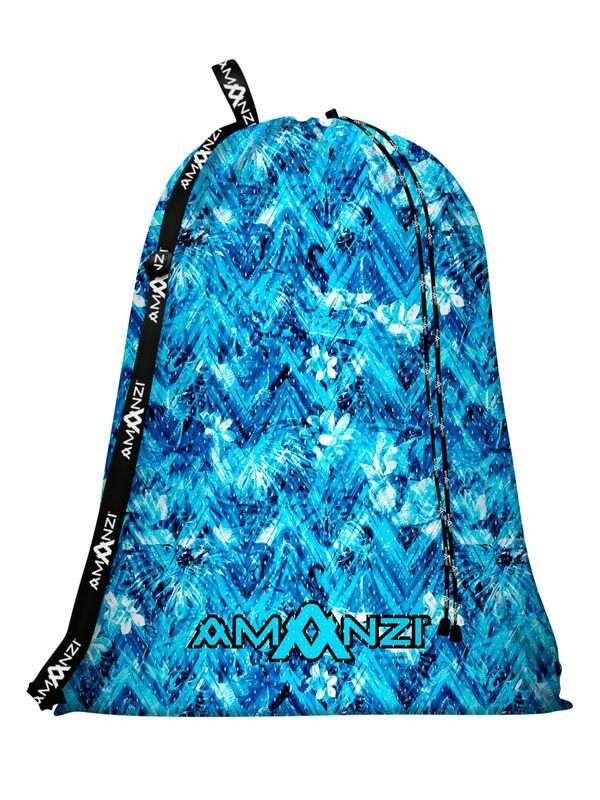 Step out on pooldeck carrying the Blue Crush mesh gear bag to not only create a splash of a look poolside (although you’ll do that too), but to create a whole new rejuvenated attitude. The design is floral meets aquatics with a little bit of funk added into it to match your personal style. With the quality materials of AMANZI backing you every time you hit the pool, you’ll shimmer and shine.